The President of the United States of America, James Marshall, takes a tough anti-terrorist stance and then becomes a hostage himself when Air Force One is taken over by terrorists from Kazakhstan, led by Ivan Korshunov, who demand the release of their fascistic leader General Radek. The President seems to escape from the plane in an emergency capsule yet is actually hiding on board. He silently kills a member of the terrorist group before establishing contact with F-15's to engage the hijacked plane. As passengers escape by parachute, Marshall is captured by Ivan and forced to release General Radek, setting in motion an international incident. 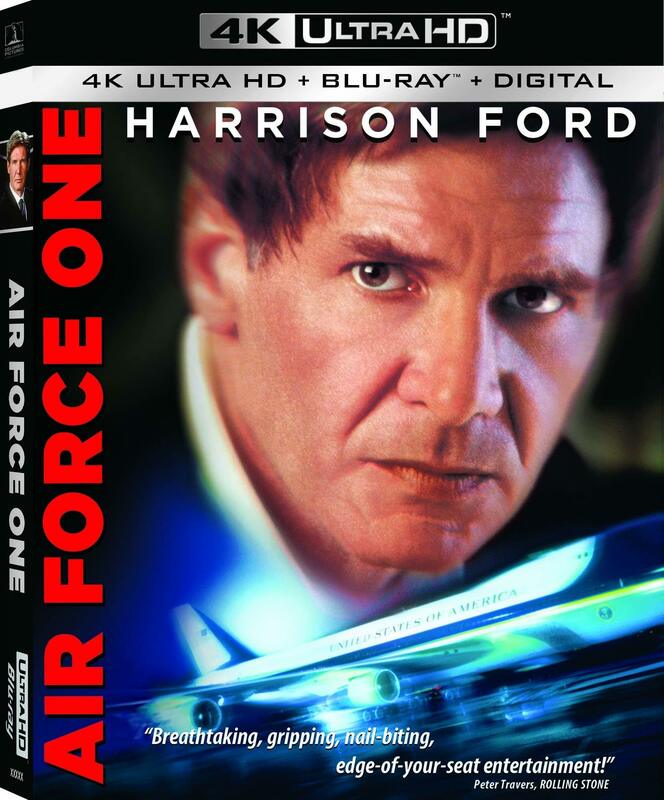 Fully restored in 4K from the original camera negative, the 4K Blu-ray disc release of Air Force One features High Dynamic Range with exclusive Dolby Atmos audio.